When visiting Fuerteventura you have a large variety of sights that are interesting to a multitude of travelers. There are many museums on the island and they are wide spread. 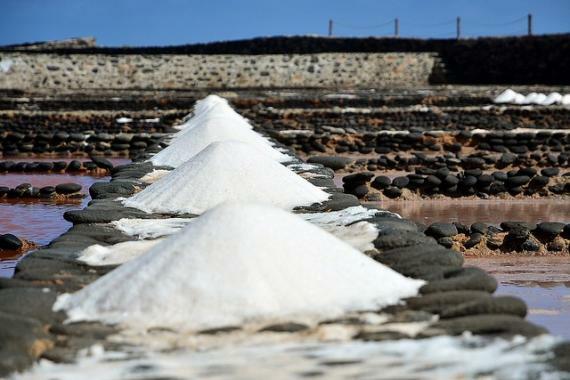 Near the mid-east side of the island located around the Caleta de Fuste area you have the Museo de la Sal(Salt Museum) where you will find large pools used in the extraction of salt from the ocean water and the processing area for the collection of the salt. Many businesses use this salt and it is a point of local pride to use this island-made product. There is also a large skeleton of a humpback whale that was found on the beach and has been mounted for viewing on site. Located near Las Salinas beach there are great views and also a small restaurant that serves fish caught near bye. Another must-see is the Betancuria Museum of Archaeology and Ethnography where you can learn about the geology and the origins of different types of life on the island. There are multiple sections of this museum covering the native people that inhabit the island. The Maxot are the original inhabitants on the island and have a claim as the original people of Fuerteventura and also have their own language. There are also other sections in the museum about the paleontology and life of other inhabitants on the island such as the oceanic and terrestrial forms of life. There are many fossils and other remains of life and ethnic traces that can be seen here. While in Betancuria be sure to get a look at the night sky from the beach or somewhere with a clear view of the sky. Being one of the best spots on the island for star-gazing and with the lack of local light glare, you can be sure to have a great view at the heavens and the many stars looking over you. There are many vista points scattered about the island and you are sure to get the perfect vacation picture from one of them. A few are located in the south near the town of Cofete where you can see both sides of the island at the same time. The Itsmo de la Pared is, without a doubt, one of the most impressive spot of the island, with real sand sculptures created by the erosion of time. Tindaya volcano has also a viewer nearby. Spanish culture lives at Casa de Unamuno, a museum dedicated to a Spanish writer and philosopher that was exiled to the island due to political ideals. Removed from Spanish society, Miguel De Unamuno helped to re-discover the island and add to the literary database with many sonnets written while on Fuerteventura. A visit to the Aloe Vera museum will guided you into the hand-made production of pure aloe for the sun-riddled visitors and locals. It is located south of La Oliva near the middle of the island. One of the most beautiful cliffs of the island is located in the center, with palm trees and windmills for water extraction, near Antigua. A perfect place for a picnic and some good pictures. There are also ferries that can take you to near-bye islands such as Isla de Lobos or Lanzorate if you would like to visit another island. 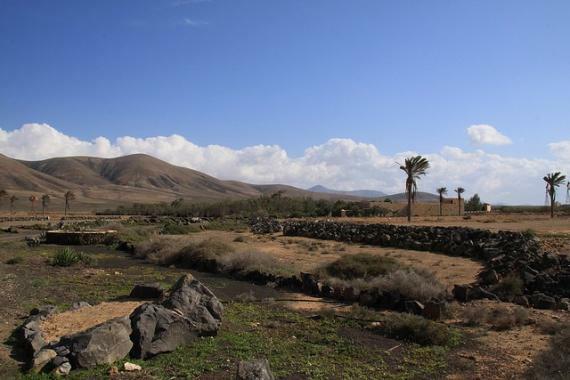 The majority of Fuerteventura is considered a nature biosphere and has protection for the animals and marine life here. The biosphere covers over 352,812 hectares and is considered one of the best models for the use of renewable energies in Europe.